Join us Sunday, Dec. 16 from 1-3 p.m. as Santa pays a visit to the Oklahoma Aquarium! We’ll be decorating gingerbread cookies, making ornaments, and taking photos with Santa. We’ll even have our bounce house for the kiddos! This holly jolly event is included with general admission, and members get in free. 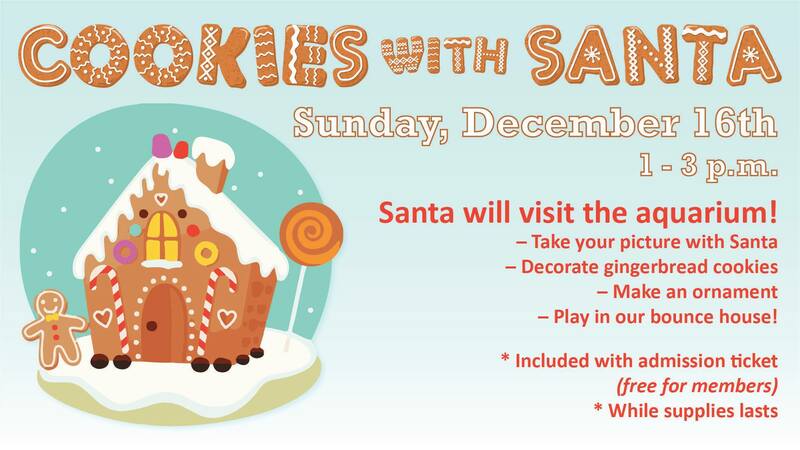 Supplies are limited, so come early, before Santa eats all the cookies!